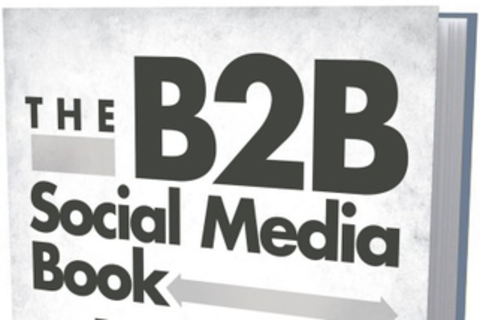 This session is a book reading of the forthcoming, The B2B Social Media Book: Become a Marketing Superstar By Generating Leads with Blogging, LinkedIn, Twitter, Facebook, Email and More to be released in January of 2012 by John Wiley & Sons Publishing. Lead Generation isn’t a dirty word. Social Media isn’t about hugging customers. These two seemingly at odds forces, when combined, offer the fuel needed to launch a marketer’s career to superstardom. Using never-before published methodologies and frameworks, this book will empower marketers to be a key driver of business growth and success. It exists to transform the often under appreciated marketer into a superstar to be admired by C-level executives and lauded by the sales team. Jeffrey L. Cohen is a Social Strategist at Radian6, a salesforce.com company. Radian6's social media monitoring software helps businesses listen, discover, measure and engage in conversations across the social web. Jeff works with B2B and B2C enterprise companies to assess their social media strategy and adoption, and advises them on how social media marketing, communications and engagement can help them meet their business objectives. Jeff is the co-author of The B2B Social Media Book and is also the co-founder and Managing Editor of SocialMediaB2B.com, the leading online resource for social media’s impact on B2B marketing.